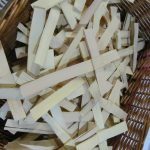 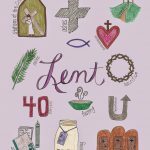 During the period of Lent, signs or symbols are used to remind the Faithful of the penitential nature of the Season they are in. 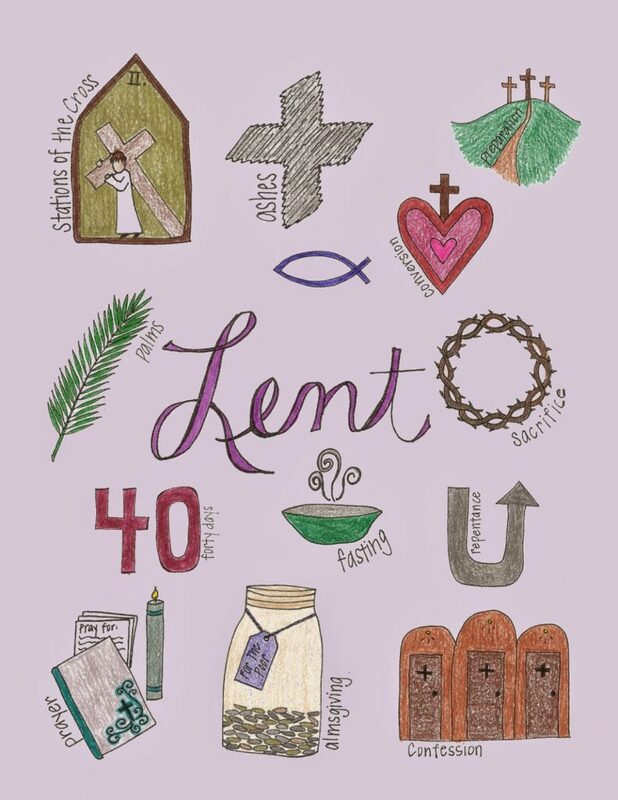 These signs include on Ash Wednesday, the ashes on the forehead. 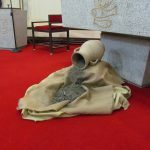 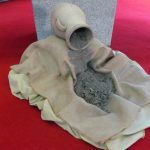 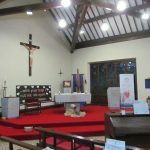 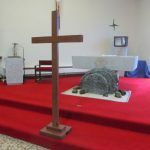 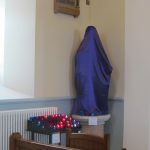 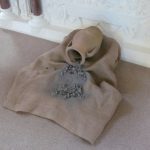 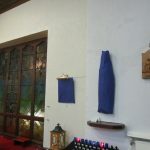 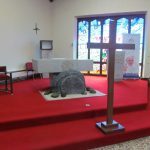 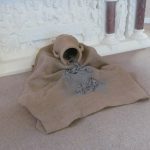 Then there is the ‘sackcloth and ashes’ which is displayed as a sign of Penance and the colour purple of the Priest’s vestments and coverings for statues and pictures which is a sign of bruising and suffering. 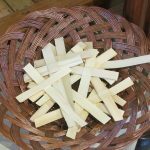 Then on Palm Sunday we have the Palm Crosses. 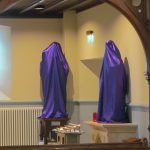 Both our Churches have various means of showing these signs throughout the season of Lent and culminate with the closed tomb, cross and open tabernacle on Good Friday!